65 recipes for grilling, smoking and roasting with fire. Cooking with fire is primal. There is nothing simpler - no metalwork, no fancy gadgets, just food and flame - allowing you to take the most basic of ingredients and turn them into something special. Cultures across the globe have cooked in this way, developing their own innovative methods to combine heat and local flavours. 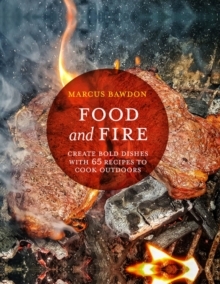 Cooking with Fire takes the best of these global artisanal techniques - from searing directly on the coals to rotisserie, wood-fired ovens, cast-iron grilling, and plenty more - and creates 65 lip-smacking dishes to cook outdoors and share in front of the fire with family and friends.